Good morning! 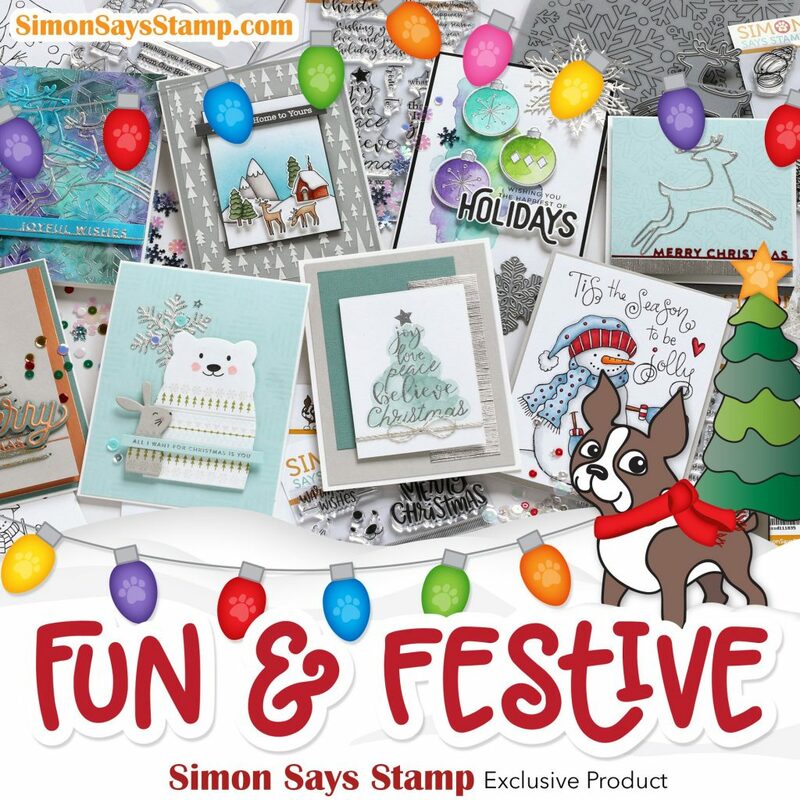 The Fun and Festive collection from Simon Says Stamp is now available and it is FULL of must-haves for the holidays and more! I have lots to share in the coming days but first, here’s a look at the amazing release! 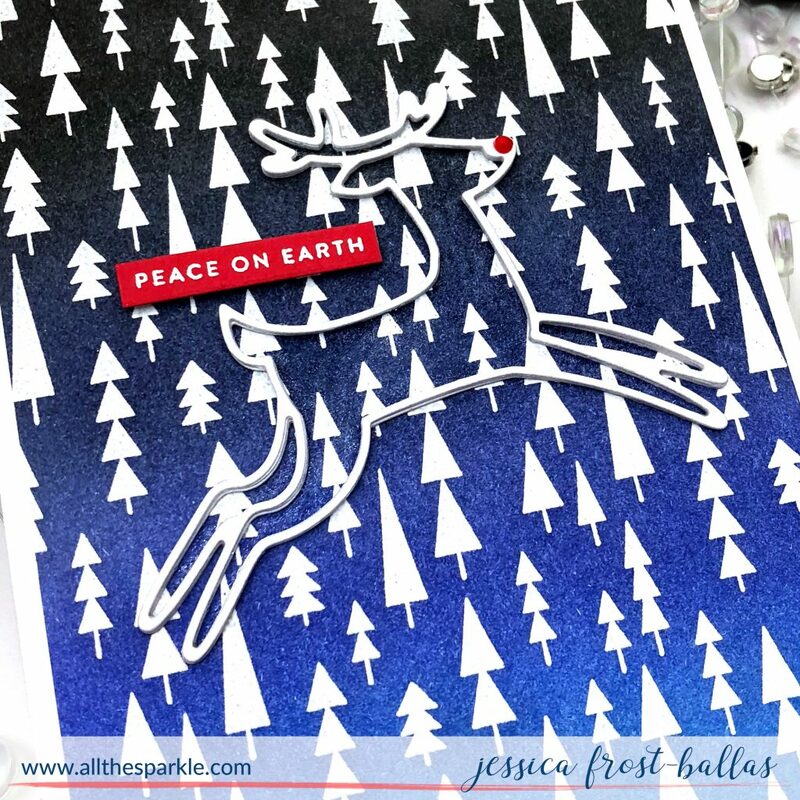 Today I’m sharing three holiday projects! I just love the look of the Mod Trees background stamp and wanted to use is for some modern and clean backgrounds! I started by stamping the Mod Trees with versamark onto a piece of strathmore bristol cardstock and heat-embossing it with white embossing powder. Then I blended black soot, chipped sapphire, blueprint sketch, and salty ocean distress ink over the embossed trees. 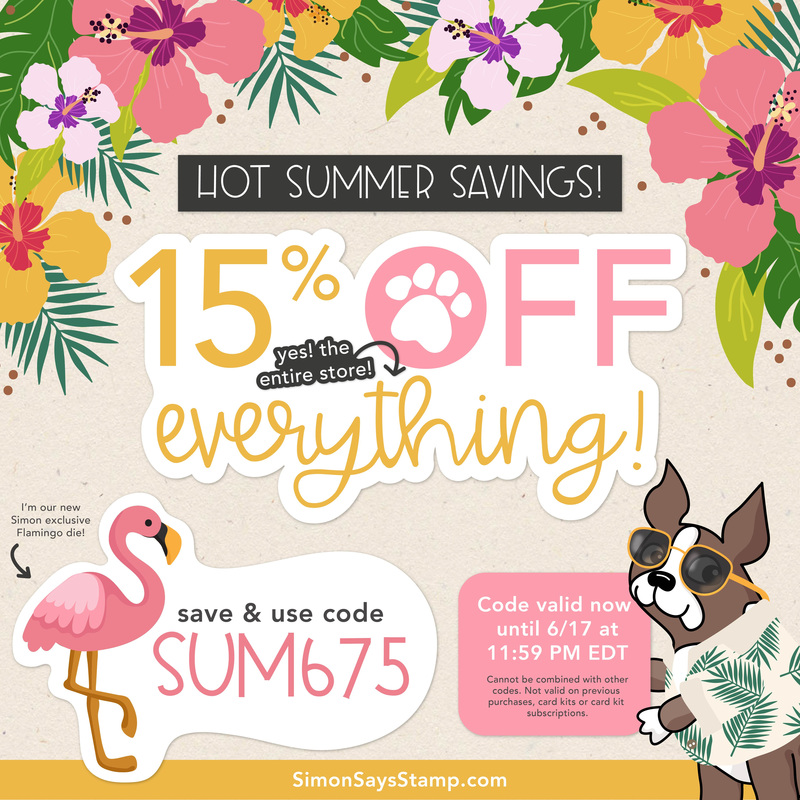 The embossing powder resists the ink leaving behind the design! I die-cut the Dancing Deer three times from white cardstock and adhered them together. I adhered it to the card and added a red nuvo drop to Rudolph’s nose. 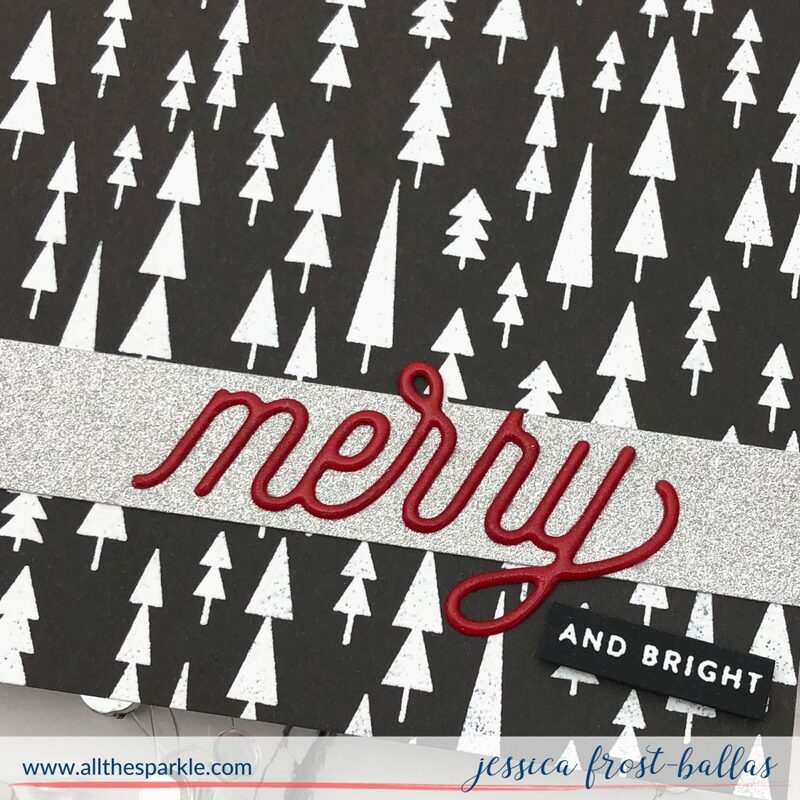 Finally I stamped a sentiment from Tiny Words Christmas onto red cardstock with versamark, heat-embossed it with white embossing powder, die-cut it with the Sentiment Label dies, and adhered it to the card with foam mounting tape! I die-cut the Merry from red cardstock and pressed a versamark pad over it. I heat-embossed it with clear embossing powder and repeated the process until I had a thick shiny word. I adhered that to the glitter cardstock and then stamped the rest of the sentiment from Tiny Words Christmas. I heat-embossed it with white embossing powder and trimmed it with the Sentiment Label dies before adhering it to the card with foam mounting tape! I love that pop of red on the neutral background! And then things got bright and colorful in my craft room! 😉 To start I blended antique linen, spun sugar, worn lipstick, and seedless preserves distress ink onto a panel of strathmore bristol cardstock. I die-cut the panel with the Wonky Rectangle dies and adhered it to a white card base. I spritzed it with water and blotted off the excess to lighten the distress ink. 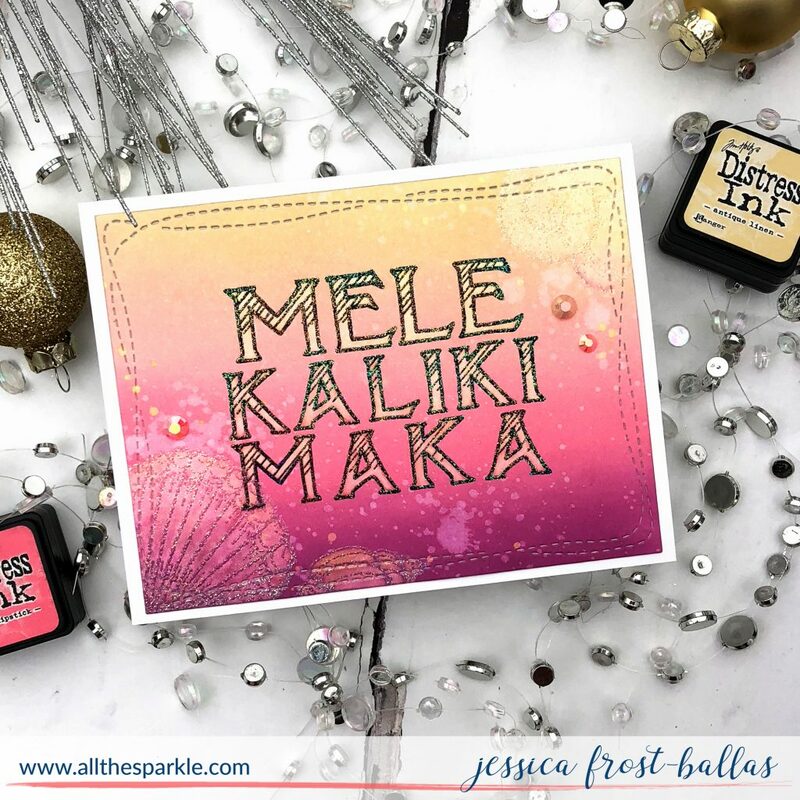 Then I stamped the sentiment with versafine and heat-embossed it with hologram clear sparkle embossing powder. I colored inside the letters with a damp paintbrush to lighten the ink. I also added a layer of spectrum noir clear sparkle inside the letters. 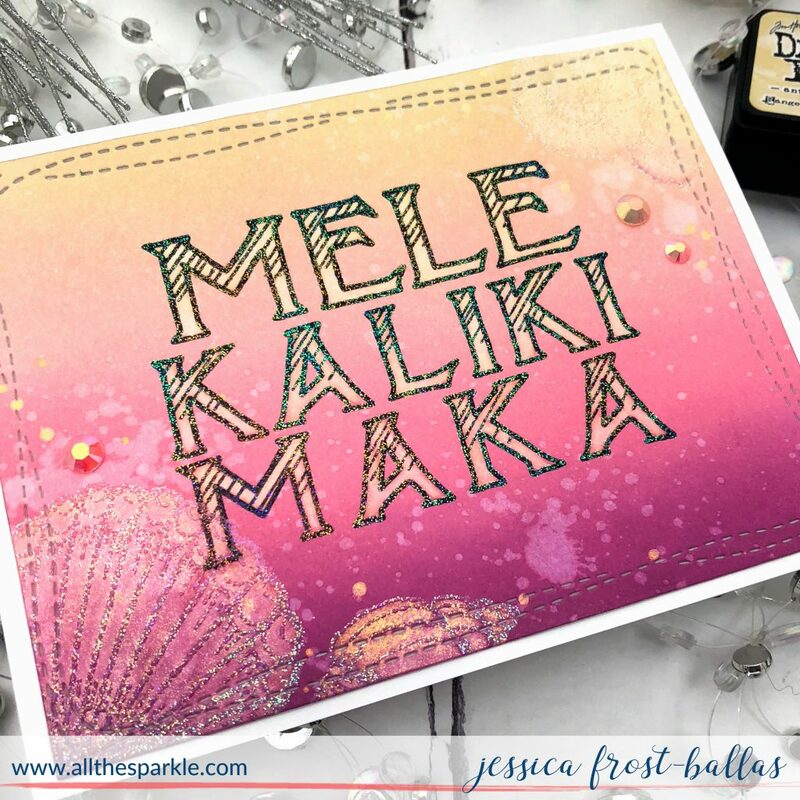 Next I stamped the shells in the corners with versamark and heat-embossed it with hologram clear sparkle embossing powder for a sparkly tone on tone design. I painted the inside of the shells with a damp paintbrush and a layer of spectrum noir clear sparkle. Finally I added a few jewels for a little extra sparkle! This was a hard card to photograph but the sparkle and vibrant colors are just gorgeous in person! Thanks so much for stopping by today and have an amazing day! I love your sweet dancing deer! Adorable! 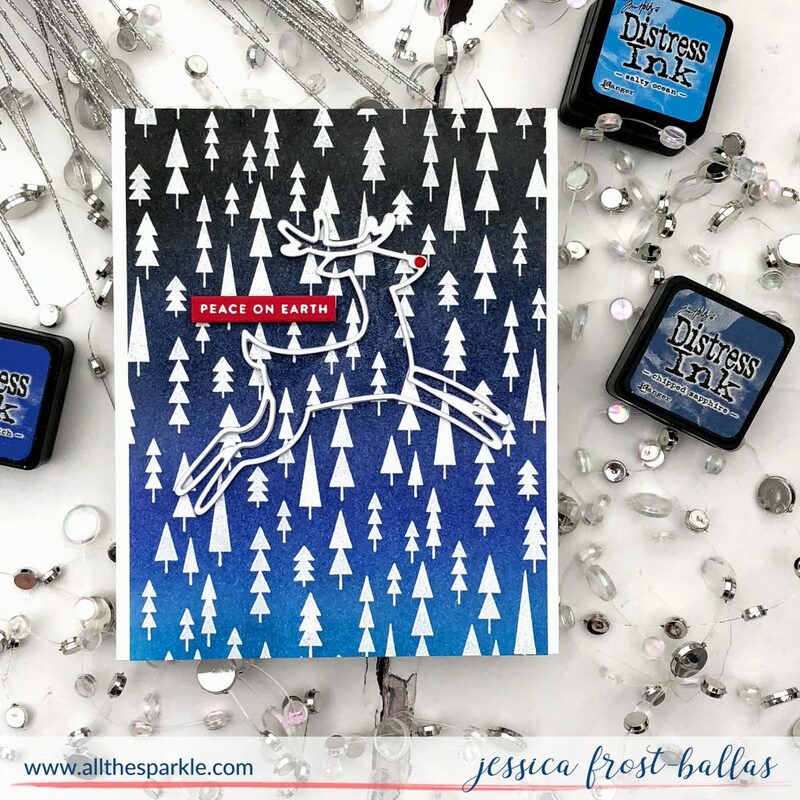 love the tree background stamp!! Love that Mod tree background & your awesome cards! The slate gray is an unexpected color & my favorite of this trio. Love the simplicity & the added sparkle with the glittery strip of silver! I really love the mod tree and reindeer card. 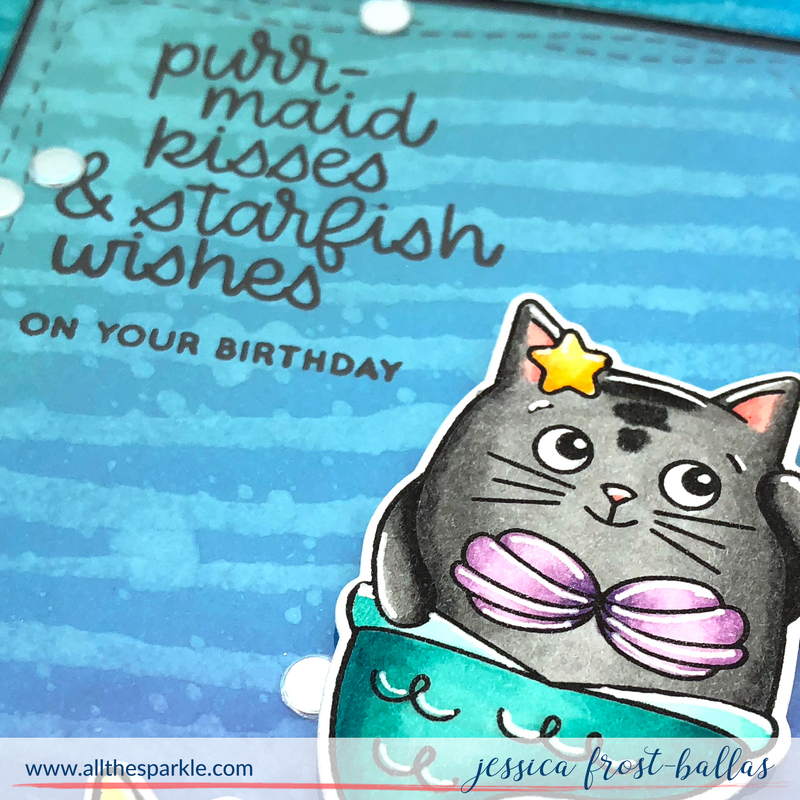 I looked through your blog at some of your other card creations. Very cute. Thanks for sharing your talent.